We came by a straight course to Cos, and the next day to Rhodes, and from there to Patara (Acts 21:1). 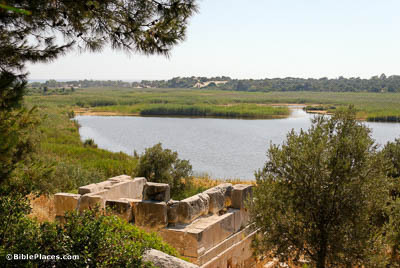 Patara is located at the southeast coast of the Xanthos River Valley, where it was once the location of Lycia’s principal harbor. Patara was the port city for Xanthos, which rests about 6.5 miles (10.5 km) to the north, at the opposite end of the valley. Today the former harbor is marshland and is cut off from the sea by about a half mile (0.75 km) of white sand dunes. At Patara Paul and his companions changed ships, boarding a vessel heading for Tyre. We . . . landed at Tyre, for there the ship was to unload its cargo (Acts 21:3). The trip from Patara to Tyre is approximately 400 miles (643 km) and would have taken several days. 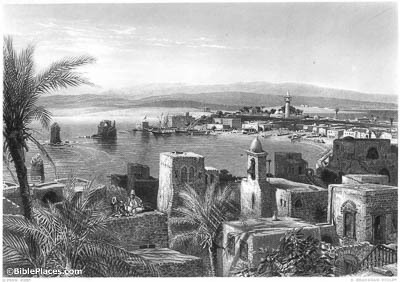 Tyre was the location of the main port for merchant ships coming from Asia Minor. Therefore, it makes sense Paul’s party would land here with the merchant ship they boarded at Patara. And when we had finished the voyage from Tyre, we arrived at Ptolemais (Acts 21:7). Acco, also called Ptolemais, is located about 25 miles (40 km) south of Tyre. 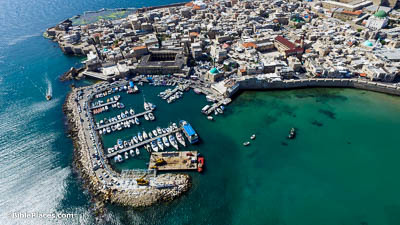 It sits on a small spur of land that juts out into the Mediterranean and is the only natural harbor in Israel. 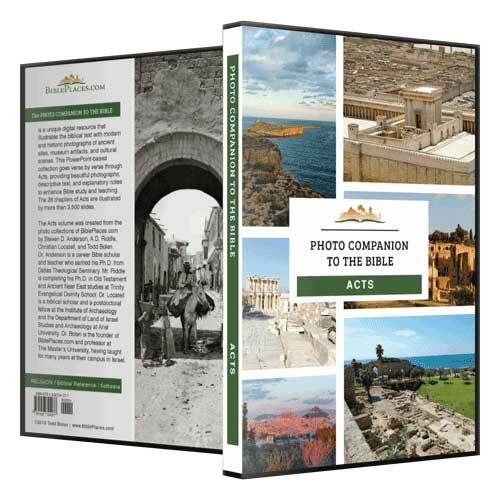 The only comparable harbor was the man-made harbor that Herod the Great built at Caesarea. Then Paul took the men, and the next day, purifying himself with them, went into the temple (Acts 21:26). Purification was required before worshipers could enter the temple complex. This required full-body immersion in a bath known as a mikveh. 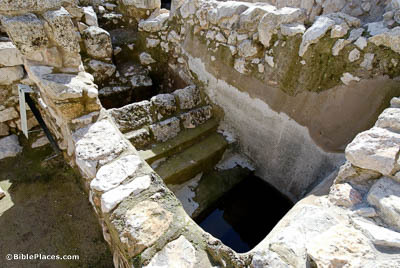 Such baths are a distinct indicator of Jewish culture throughout the Holy Land during the Second Temple period. Like this one, many baths are located south of the Temple Mount, as large groups of people would congregate there and need to be purified. And moreover he even brought Greeks into the temple and has defiled this holy place (Acts 21:28). 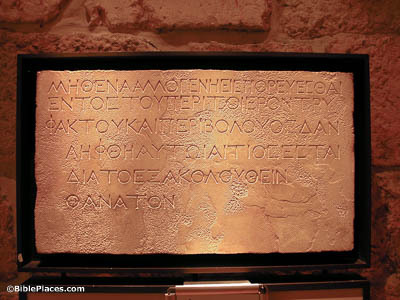 This is a replica of a warning inscription once stood on the Temple Mount at the fence between the Court of the Gentiles and the temple proper. It forbade foreigners from entering. It reads, “No foreigner is to enter the balustrade and enclosure around the temple. Whoever is caught will himself be the cause for [his] following death.” It is this law that Paul was falsely accused of violating, leading to his being beaten and arrested.